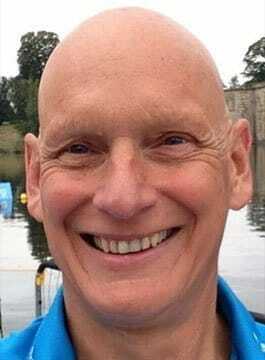 Duncan Goodhew MBE is an Olympic Swimming Gold Medalist and Motivational Speaker. The twin misfortunes of losing his hair when he was 10 years old and being dyslexic spurred Duncan Goodhew on to win Olympic Gold for the 100m Breaststroke in Moscow. This was merely the beginning for Duncan Goodhew who quickly, at the age of 23, adapted the lessons learnt in the pool to assist business teams to find inspiration and effective ways to overcome the obstacles to success. Inducted by IBM, he has worked with 100’s of leading businesses and organisations. Many of the projects have been leading edge such as the Partner Survival Course he launched into PricewaterhouseCoopers, which pulled together his passion for improving overall personal, and team performance and the knowledge gained from working in the corporate, sport and health and fitness sectors. Another example is a programme he designed with the Bickerton Partnership for Microsoft Europe who rarely meet and therefore have to function as a ‘virtual team’. Duncan Goodhew’s business experience stretches form arranging large sponsorship to corporate fundraising and business introductions. In his book, Sink or Swim, Duncan Goodhew draws on the events of his own life and the long and arduous grind of training for competitive swimming, where your skills will be judged on a performance which is over in less time than it’ll take you to read this paragraph. He addresses such issues as how to get yourself motivated (as well as how to stay motivated) and, perhaps most important of all, that success is an entirely individual matter. This is a book which can be applied to home and family life as well as life in the office and addresses the issue of making sure you set your own criteria for achievement – rather than simply meeting the expectations of other people. It is a book which redefined the nature of success – and shows you how to achieve it. 1981 – Awarded MBE for services to sport.